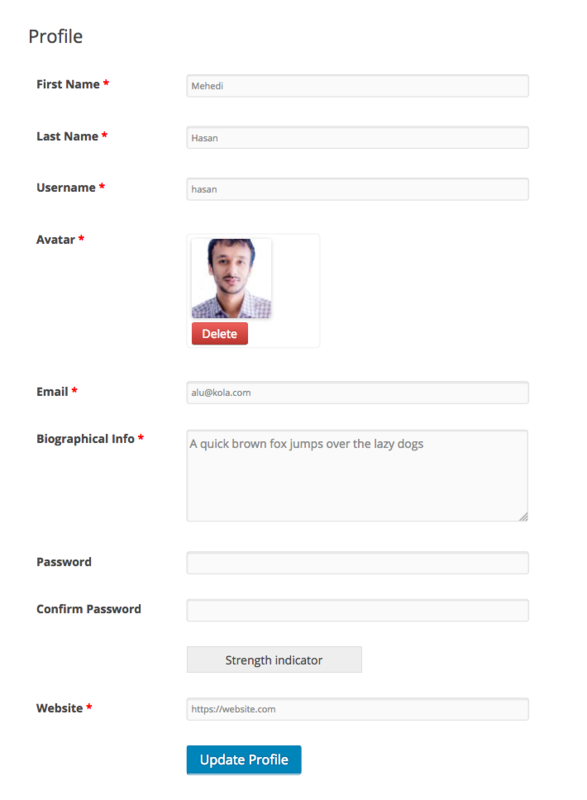 Using the WP User Frontend, you can allow your registered user to update their profile from the frontend. 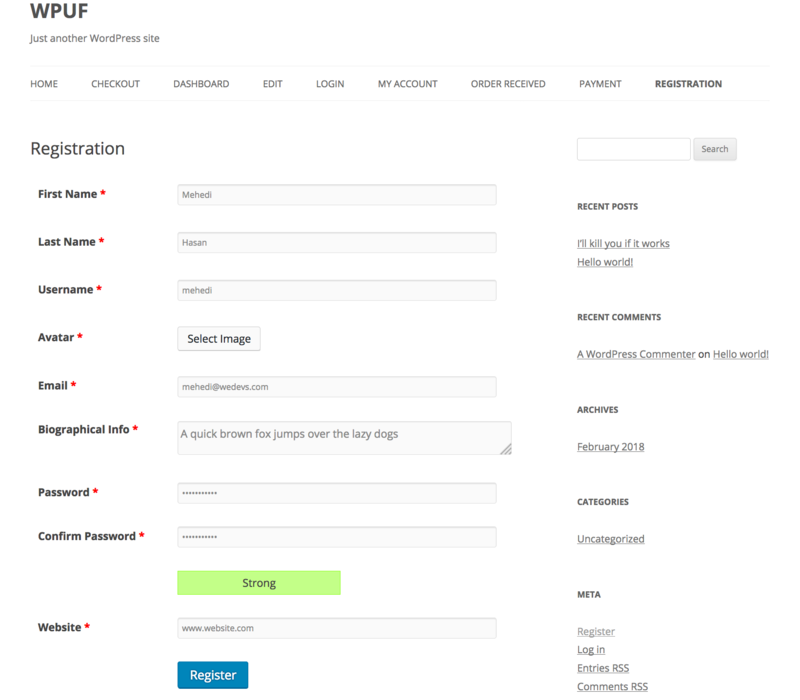 If you have a registration form already created with WPUF, you should have two different short-codes. One is for registration and other is for editing the profile. You just have to use the profile editing code on a page and give the access to logged in user on that page to edit their profile. Let's see how to do it. First of all, navigate to wp-admin→User Frontend→Registration Forms→Select the registration form→Copy the ‘Edit Profile' shortcode of your registration form. Now, Navigate to wp-admin→Pages→All Pages→Create a Page with the shortcode. 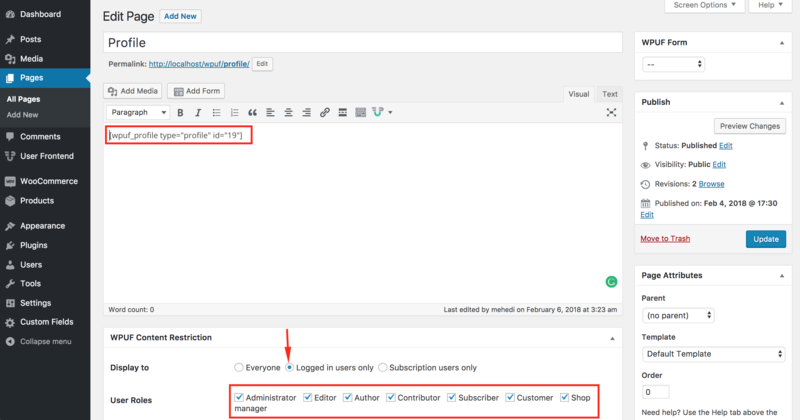 N.B: It's important to select the logged in users and the user roles to display the page. After registering, please visit the page that we just created with the ‘profile edit' shortcode. Here it is. You can change your profile information including the password from the frontend.